Workplace Essential Direct stock a large range of safety work boots for protecting feet and ensuring that you can get on with the job at hand without worrying about the safety of your toes at all times. In the past safety boots were often uncomfortable and poorly ventilated but the latest generation of boots are comfortable, lightweight and airy, ensuring you can work in safety and comfort all day every day. We have a wide range of safety boots from the lightweight to the heavy duty and stock all the leading manufacturers including Oliver, Redback, Mongrel, Diadora, Steel Blue, FXD, Bata and Blundstone . 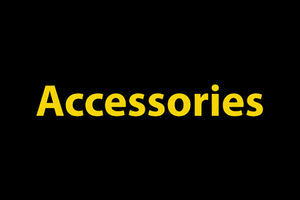 Our prices are low and the quality is high so when you need safety boots you need Workplace Essentials Direct. We have made shopping for safety boots easier than it has ever been in the past and we have cut the cost. At Workplace Essentials, we keep a range of comfortable and durable safety footwear including boots and shoes and runners to suit your workplace applications. We deliver Australia wide and are your local supplier in Melbourne and areas of Pakenham, Officer, Berwick, Beaconsfield, Cardinia, Kooweerup, Lang lang, Nar nar goon,Tynong, Garfield, Bunyip, Drouin, Warragul. Drop into our Pakenham store to see our full range of workboots shoes, runners and accessories. Keep your feet protected with the right kind of safety boots, safety shoes and safety runners. We stock a large range of comfortable and durable safety footwear including zip sider boots, laceup boots, shoes and runners to suit your workplace applications.